Rogers Arena, although built in 1995 is still considered one of the premier sports venues in North America. The building has undergone significant upgrades since the Aquilini regime purchased the building in 2008. 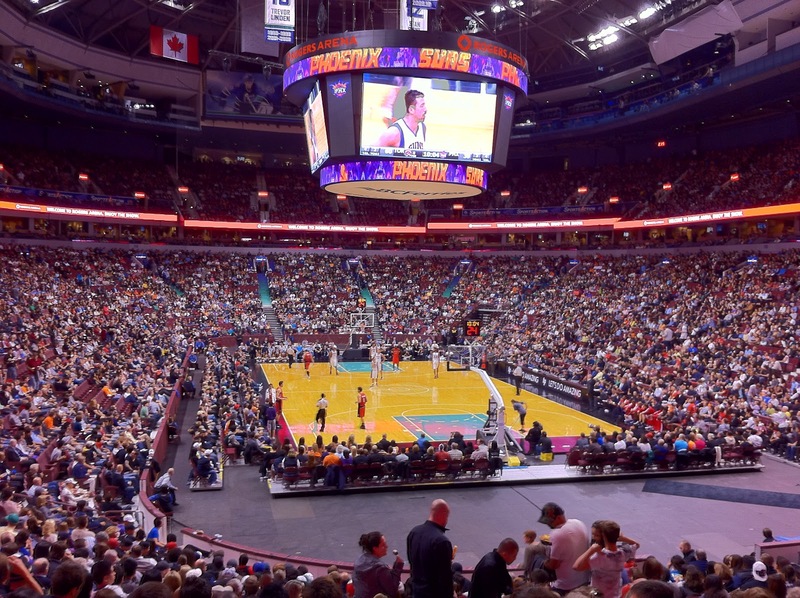 Rogers Arena is currently configured to seat 19,800 for basketball along with 100 luxury suites and has hosted NBA basketball games as recently as last season. The arena is the single largest competitive advantage the city has over other potential destinations, most notably Seattle. The stadium is located in the downtown core within close proximity of transportation, high density residential neighborhoods, hotels and the entertainment district. When the team left in 2001, the population of Vancouver was 1.9 million which has since increased 26% to 2.4 million. Vancouver has also experienced a large influx of foreign investment which has boosted economic growth and provided a strong corporate base. Since the team left, the city has hosted numerous large scale events including the very successful Winter Olympics in 2010. The city has emerged as a world class city and now has the population base, corporate infrastructure, economy and exposure to attract another major sports franchise. Metro Vancouver is considered a mid-sized TV market with 1.45 million televisions. This puts the region 19th in North America ahead of NBA cities such as Sacramento, Portland, Charlotte, Indiana, Salt Lake City, Milwaukee, San Antonio, Oklahoma City, Memphis and New Orleans. It also puts Vancouver ahead of competing cities such as Kansas City and Columbus. More importantly, a team in British Columbia would not only reach the Metro Vancouver market, but also reach out to Vancouver Island, the Interior, Washington, Calgary and Edmonton. By including only 10% of the TV market in Seattle, Calgary and Edmonton, the TV market increases to over 2 million which makes Vancouver a top 10 North American TV market. Vancouver would also have the luxury of being “Western Canada’s Team”, and share national coverage with the Toronto Raptors. It has been well documented that the NBA has pushed to grow the sport globally and China has now become the NBA’s 2nd largest market behind the United States. 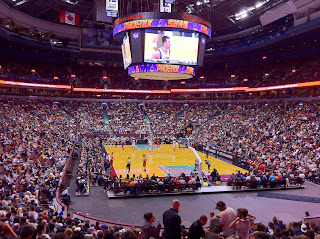 The emergence of Vancouver as a preferred destination to Asians, as well as being Asia’s gateway to North America, it would appeal to the NBA’s desire to further grow the game globally. Western Canada, and the Pacific Northwest are also two significant markets that are currently undeserved by the league. The untapped market represents far greater growth potential than a 3rd team in Southern California (via Anaheim) or another team on the East Coast. One of the largest disadvantages of the Grizzlies’ franchise in the late 1990’s was a struggling Canadian dollar, which hovered around the 65 cent mark vs. the US dollar. The team would collect Canadian revenue through ticket sales and corporate sponsorships but have to pay out in US dollars for its largest expense, salaries. The team was at a 35% disadvantage relative to its US counterparts. While there is no guarantee the dollar will remain at par, the future of Canada as a strong resource based country should limit the dramatic fluctuations we saw during the late 1990’s. When the Grizzlies first arrived in Vancouver, basketball was not part of the cities culture. While this still may be true, considering the strong foothold the Canucks have in this market, the NBA’s first go-around had a strong impact growing the game in the city, especially with youth recreational basketball leagues. The same kids that grew up watching the Grizzlies during their formative years are now in early adulthood and ready to embrace the team a second time, this time with the ability to make a financial investment in the team through ticket sales. The grassroots program continues to grow in Vancouver, with participation rates in youth basketball significantly higher than during the Grizzlies era, thanks to the Steve Nash Youth Basketball League. The NBA will provide priced-out families with an alternative to the Vancouver Canucks and with creative marketing and a decent on-court product can grow their fan base. You've definitely made some excellent points, and the NBA will no doubt return to Vancouver in the future. The only question that remains is when.